Light: Low light location is ideal. Water: Moderately moist soil is preferred. Water thoroughly when just the soil surface is dry to the touch. Do not allow plants to stand in water. Light: Bright light location is preferred but can be maintained for many weeks in lower light. Water: Moderately moist soil is preferred. Light: Indirect or bright-diffused Light is best. Water: Moist soil, dry between watering. Light: Indirect or bright-diffused light. It may drop leaves in low light. Water: Likes to be on dry side. It will get brown leaf spots if over watered. Water: Moderately moist. 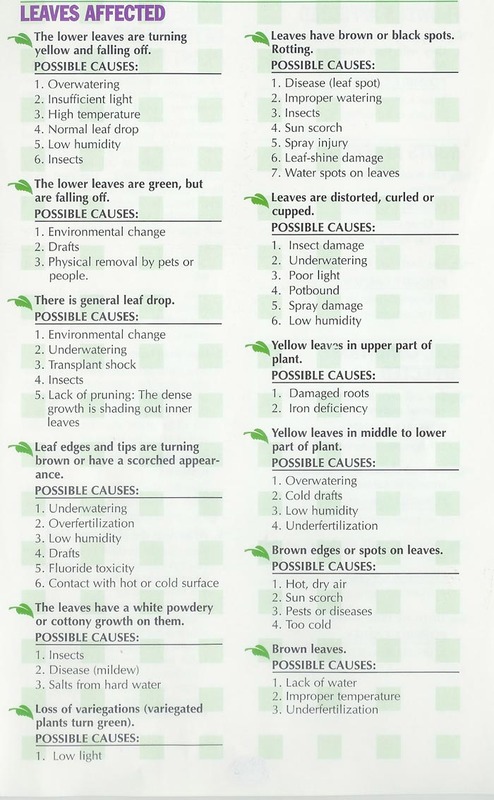 Improper watering causes rot and leaf-tip burn. Water: Moist soil is preferred. 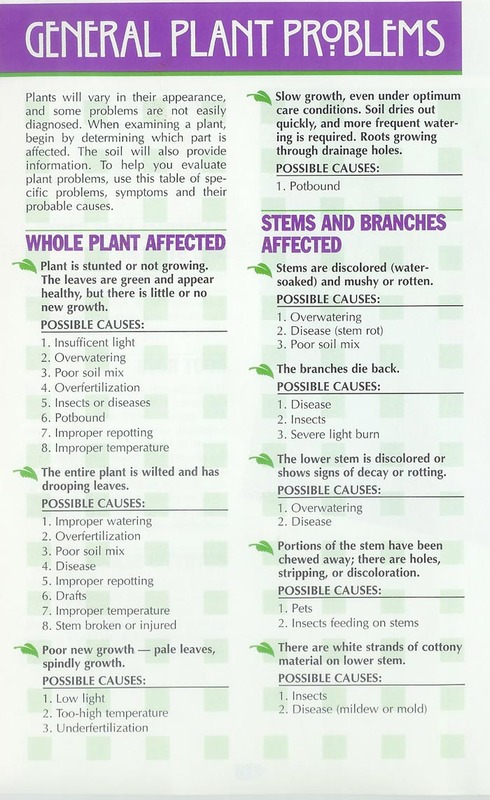 Improper watering may cause yellowing leaves, root rot or browning tips. Water: They like moist soil. Reduce water in the winter. Light: Medium to low light. Leaves will be smaller in very low light. Water: water requirements are low. D.Marginata is more tolerated than most plants of dry soil and irregular watering, though liable to root decay in wet soil. It is Susceptible to fluoride toxicity and can not tolerate direct sun light. Light: Bright and sunny conditions but will also tolerate considerable shade. The plant is sensitive to cold .The leaves are sensitive to small changes in light. Rot easily if over watered.